The professional's choice known for its true and brilliant colors, Ink is instant drying, and won't bleed through the paper. 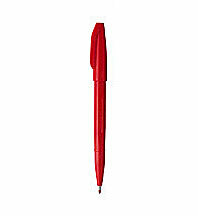 Its acrylic fine tip is durable and lets the ink flow freely. Available in Black, Red, Blue, Green, Brown and Yellow.